Ataca públicamente la publicidad de tabaco, mientras a una cuenta de cigarrillos le factura U$20 millones. Es cofundador de FCB. La novela de Frederic Wakeman, The hucksters, refleja su estilo y es retratado en su versión para cine en el 47 hecha por Adolphe Menjou. Con su impredecible cliente George Washington Hill, de American Tobacco Co., produce muchos shows clásicos en radio. Trabaja para la Fundación Menninger y la Asociación Americana de Cáncer, y regresa a McCann-Erickson como presidente. Después de enfrentamientos con los clientes de cigarrillos de McCann, renuncia para convertirse en activista contra los fumadores. MEMORANDUM Emerson Foote Age: 59 Married 27 years to Sabina (Frqmhold) 4 children - (3 girls - 1 boy) Lives on East End Ave., Manhattan also, homes in Rye and Carmel, N.Y. I - Chronological Record December, 1906 - Born in Sheffield, Alabama. Family moved to California where he was raised and educated in public schools. 1923 - Attended one semester at University of Southern California. Dropped out and began his work career at 17. 1923 - '31 - Worked as a clerk in Loan Association, then for an Automobile Distributor. Moved to job with Pacific Mutual Life Insurance Co. Took a course in Research and at 26 held the unpaid job of secretary of the Western Statistical Association. 1933 - At age of 27, and out of job because of the depression, he entered the advertising business with Leon Livingston Advertising Agency in San Francisco, working as a copy- writer and researcher. 1935 - Opened own Agency with partner - Yeomans & Foote. A year later, sold out and went to New York. 1936 - Joined New York office of J. Sterling Getchell. Became manage`of the Research Department and a V.P. 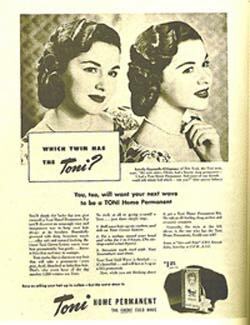 1938 - Joined the Lord & Thomas Agency, as print advertising Account Executive on American Tobacco account. 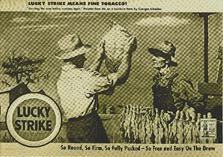 Sept. 1939 - Appointed general Account Executive - Lucky Strike Acct. 1940 - Made a Vice President. 1942 - Executive Vice President of Lord & Thomas. 1943 - One of three executives who bought the Lord & Thomas agency from owner Albert Lasker - forming Foote, Cone & Belding, of which Foote became president. Held = the post until 1947. Spring 1948 - Foote personally resigned the American Tobacco account (reduced his agency's billings in half). 1950 - Resigned as President of Foote, Cone & Belding. Took extended vacation. 1951 - Joined McCann-Erickson as Vice President. 1952 - Appointed Executive Vice President McCann- Erickson. Feb. 1957 - Resigned unexpectedly from McCann-Erickson to seek, "Smaller agency connection". Oct. 1957 - Invests in Geyer Advertising Agency; becomes Chairman of the Board. April 1958 - Fifteen months after leaving McCann-Erickson and only after seven months at Geyer, he returns to McCann-Erickson as Sr. V.P. of Midwestern Region. Dec. 1962 - Appointed Chairman of McCann-Erickson. .Septo 1964 - Resigns as Chairman of McCann-Erickson. Gives as his reason that he will have nothing to do with any agency handling or seeking to handle the advertising of cig- arettes. 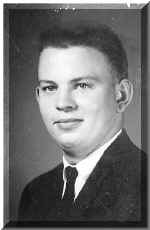 1964 - Appointed a member of the President's Com- TIMN 0A10398 mission on Heart Disease, Cancer and Stroke. Manursing Island Club (Rye, N.Y.) Gypsy Trail Club (Carmel, N.Y.) Chicago Club (Chicago) Gardens of God Club _ III - The Man - His Personality & Personal Characteristics Foote is a tall man, broad shouldered with gray hair and blue eyes. He is_a talented and persuasive salesman, and has used sales techniques, such as a series of explosive job resignations, to focus attention on himself. His manner is described as calm and smooth, and even courtly with women. People who have worked with him credit him with extraordinary ability to win over others to his point of view, to sense disagreement ahead of time and eliminate it. His men associates report that he is charming all right, but can turn it on and off as your importance requires. But his women associates claim his charm is real, so smooth as to be frightening, but re- flecting a true warmth. He has always been known as being one of the best at giving presentations. His forte is getting attention, and he has been known to break out in a stream of angry oaths at a meeting to be sure he has attention. - -He was a protege of the late Albert D. Lasker, owner of Lord & Thomas. Lasker was also a major stockholder of -American Tobacco Company, and he gave that account to the newly formed Foote, Cone & Belding as the basis of its business. 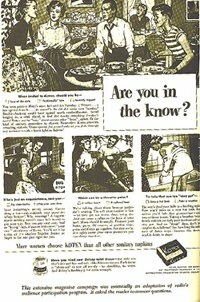 So, Emerson Foote's reputation and fortune -- -- ~ y have principally been made selling cigarettes during the O y years, 1936 - 1948. - Miscellaneous Items of Interest About Emerson Foote l._ He has always been interested in mathematics, which led ._ .._,. ._~._ .. . ....... . ... ,. . . _ _ ... ---him to research and into advertising. As an advertising man, he has always advocated more research. After having been a chain smoker for thirty years, he says he stopped entirely in 1959. 3. He is supposedly the model for a key character in Frederic Wakeman's novel "The Hucksters", which he wrote while employed at Foote, Cone & Belding (see Section V). 4. His early reputation and progress were built on his being one of the few able to get along with George Washington Hill, the demanding President of the American Tobacco Co. 5. In the turbulent days of 1948, after George Washington Hill died, and just before Foote resigned the American Tobacco account, he was reported as being in an agi- tated state. Direct quotes from associates of those days include: "We regarded him as-a hypochondriac" - and "Foote was brilliant but shakey". Others quote him as exhibiting signs of panic. Later, Foote took a one year's leave of absence (1950) for health reasons. 6. His resignation of the twelve million dollar American Tobacco Co. account in April 1948 because of "policy differences" still ranks as the largest account resig- nation by an agency ever. The skepticism of the business world in general and some client reaction in particular to the announced cause of the break led Foote, Cone & Belding to hire Gen. William J. Donovan, wartime OSS Chief, as a special counsel charged with protecting the agency's reputation and good name. 7. When Foote resigned from McCann-Erickson unexpectedly in February, 1957, there was much wondering as to why, since no problems were apparent on the surface. One story that did circulate was that the famous Foote charm had greatly impressed Mrs. McCann and led to some deep-seated trouble with Marion Harper. Foote, of course, denied this and his return to McCann-Erickson fifteen months later ended the talk on this score. 8. At various stages of his career, Emerson Foote has taken extended vacations to "rest" or seek "new connections". it has been alleged that these periods reflect a series of "nervous breakdown" he is supposed to have suffered. His interest in the Menninger Foundation, which is de- voted to Mental Health, is supposedly tied to these ailments. Foote maintains a post of modesty about himself. "People overrate the job I do", is what he has often said. He will only claim one skill for himself and that is being "sensitive to people", which he defines as "understanding people's wants, needs and expec- tations". V - A Sugcrestion It is widely acknowledged that the Frederic Wakeman novel "The Hucksters", written by Wakeman while he was an account executive at Foote, Cone & Belding, depicts events at the agency on the American Tobacco Co.--account at the time. One of the leading characters, President Kim Kimberly is supposed to be Foote. The fictitional client Llewellyn Evans of Beautee Soap Company is a representation of George Washington Hill of American Tobacco Company. Although many knowledgeable adver- tising men who have read the book state that it is vastly overdrawn and not likely to be accurate, it could still be a great insight into Foote's background and the events that made him what he is. Foote himself has admitted that he did well at Lord & Thomas because he was one of the few that Hill seemed to like. Some of Foote's present day anti-cigarette actions could stem from his trials and tribulations with Hill. One inter- esting fact is that Foote has never publicly criticized Hill and his actions or Wakeman for his book. Perhaps a reading or re-reading of this novel by those concerned could be a helpful source of information. Statements of Interest Newsday, 12/18/64 "I first became convinced of the hazards of smoking 14 years ago when a friend of mine, then president of the ACS and now head of his own clinic in Boston, showed me reports linking smoking and cancer." Herald Tribune, 9/22/64 (I will) "not have anything to do with any agency having anything to do with cigarette advertising or any agency that was considering soliciting a cigarette account." 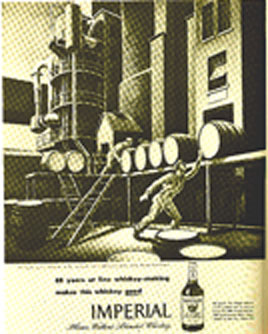 "No objection to liquor advertising." Speaking of American Tobacco resignation: "When I resigned the account 16 years ago I had no idea there might be any relationship between cigarettes and serious illness." National Agency Speech, 1/11/64 "This movement happens to be the greatest life-saving and health improvement venture of our time. "Cigarette smoking is today responsible for at least 125,000 deaths each year in the United States. Cig- arette smoking may be responsible for as many as 300,000 deaths per year in this country. "In peace time there is nothing else like this hazard. "It may be said that the emerging med-view is not that cigarette smoking seriously damages the health of some people who practice it but that cigarette smoking dam- ages the health of most people who continue to smoke. "We believe that most decisive progress toward reducing cigarette consumption can not be made while cigarette advertising is allowed to flourish unchecked. "Nobody in the Interagency Council believes that the sale of cigarettes should be prohibited, but we do have grave doubts about permiting the promotion of cigarette sales - - to people any age. "Many people say cigarette smoking is like drinking. But it is not. Only some people are very badly af- fected by drinking whiskey or other alcoholic bev- erages. Recently Rutgers University, which has for years conducted extensive studies of alcoholism, reported that only 10 percent of people who drink alcoholic beverages suffer ill effects therefrom. if we thought that cigarette smoking adversely affected the health of only 10 percent of those who smoked cigarettes we would not be here this morning." Tex McCrary Program, WOR, New York, 2/2/65 "Oh no, God forbid. I don't know of any responsible person anywhere in the country who favors the pro- hibition of the sale of cigarettes. We had that once with liquor, I hope we never have it again. Nor, as far as the interagency Council is concerned, this would be an unthinkable thing. Nor do we favor a law banning the advertising of cigarettes. What we do favor, if necessary, is a law which would, in effect, make cigarette advertising selfdefeating by carrying a warning message at the end of the TV commercial or advertisement." "It would be like this: after the commercial has been given, I think that a voice should come on and say the following is a message from the U.S. Public Health Service. Warning: the continued smoking of cigarettes may impair your health and may cause your premature death." "There's really no such thing as smoking cigarettes in moderation in the opinion of many physicians." "But, going back to alcohol for a second, I've been around doctors all my life, and I don't know of any medical evidence worthy of mention which shows that drinking in moderation is bad for health, so I'm not against drinking, I'm not against liquor advertisi.ng." "The only thing is, I don't recognize that there is another side in the ordinary sense of the word. However, if anybody wants to debate, I'll be glad to debate it."